“By eating this, you are reducing food waste,” said Dan Bensonof as he served market-goers paper cups of sweet potato & peanut butter soup– the sweet potatoes in the soup were gleaned by his students at Czajkowski Farm in Hadley. Bensonof, who just started working for UMass this June, helps organize the Farmer’s Market, is teaching the practicum class, Permaculture Gardening, as well as coordinating the Permaculture Initiative, which has funding from dining services, and worked with the Food For All network with the Student Farm to hand out gleaned vegetables to students. The market has grown a lot this year, with about 500 people attending during its peak season in September. The market has more vendors than in the past as well: a number Bensonof says ranges between 20-30 each week. At UMass, 23% of undergraduate students and 26% of graduate students cut or skipped a meal because they didn’t have enough money to buy food (Clark & Harris, 2015). 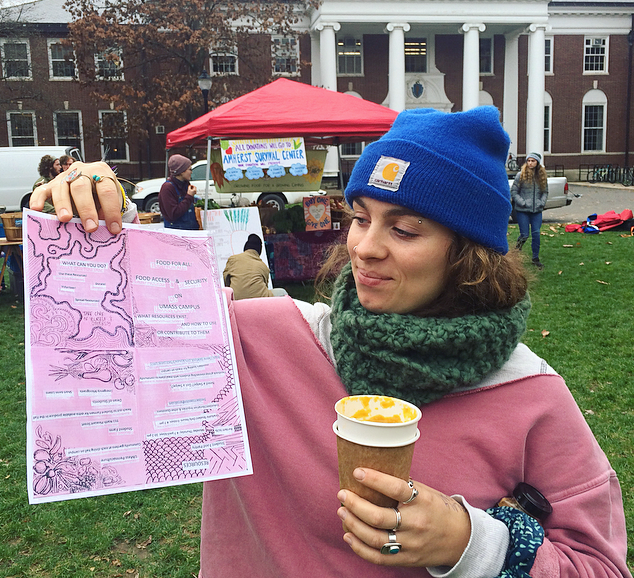 Jordan Lake, a senior who studies Sustainable Food and Farming and works at the Student Farm made a Food For All zine (self-published booklet) calling attention to food access on campus with information on “what resources exist, and how to use them or contribute to them,” which she handed out to students at the market with free vegetables. Some of the resources on campus that Lake shared about are the Student Food Pantry, the ‘Need a Swipe? 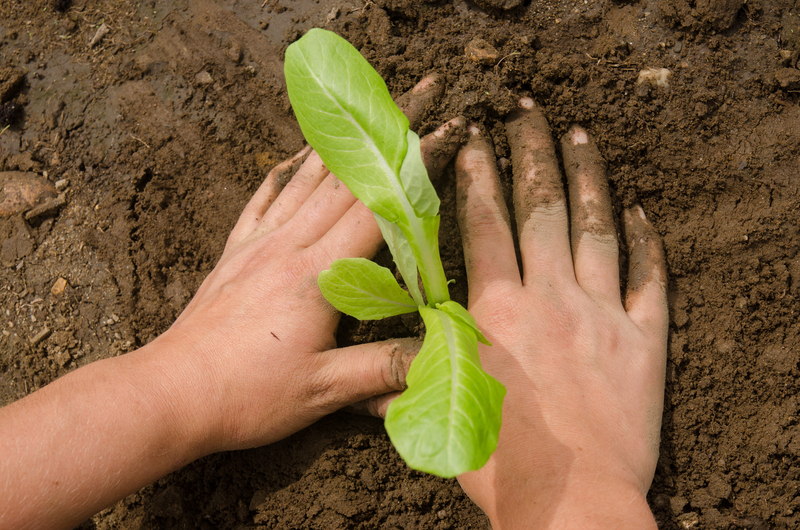 Got a Swipe?’ Facebook group, the UMass Permaculture Intuitive, and the Student Farm. The last UMass Farmer’s Market of the season is this Friday from 12-4 PM on the Goodell Lawn. It will resume weekly at the same time and in the same place in the Spring.